There is an old saying: “The best things in life are free.” We agree! Whether it’s enjoying a gorgeous sunrise before browsing locally grown produce stands or identifying a unique bird species after a free concert in the park, there are always plenty of no-cost activities on our stretch of sand. little treasures. We don’t mind if you take home several to add to your collection, but remember to keep an eye out for shark’s teeth as well. Those wash ashore regularly and are sure to delight any beachgoer. Have your own fish fry – If the thought of reeling in a big one gets your adrenaline pumping, then Sandbridge Beach is the perfect place to test your fishing skills. Expansive boardwalks and local docks line the miles of coastline — just remember to purchase a valid Virginia fishing license before casting your line. For an even more memorable experience, enjoy your fresh catch fried over a bonfire on the beach — nothing tastes better. Get artsy – Sandbridge Beach is a great place to rediscover your artsy side. Write a poem about the beauty around you, or the feelings that wash over you when you hear the waves on the shore. Scribble down a short story featuring characters you see walking by on the beach or in town. Take a photo per day (or twenty!) to capture the details of your trip and make them into an album when you return home. Keep a small journal to remember interesting tidbits you’ll probably forget along the way. Get in the game – There’s nothing like a friendly, competitive game of beach volleyball to get your blood moving. Little Island Park in Sandbridge has the perfect facilities to host your own tournament (of sorts), whether you crave a game of tennis, basketball or volleyball. Take a break for lunch in the picnic area and use the charcoal grills for your barbecue favorites. Public restrooms and seasonal rentals of kayaks, paddleboards and fishing poles are also available. To reserve the park shelter for your special event, please visit their Park Shelter Reservations or call (757) 385-PARK. Take a stroll – When is the last time you took a walk with no particular destination in mind? 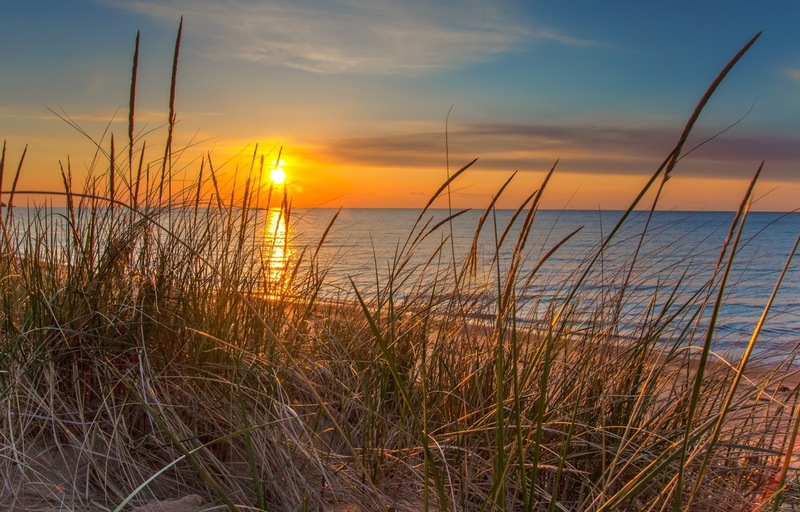 With miles of soft, sandy beaches and friendly shops and communities to explore, Sandbridge Beach is a great place to wander. You might meet some new friends, enjoy a wildlife sighting or find the perfect place for a picnic. Watch the sunrise – You don’t know beautiful until you’ve seen the sun rise from the tops of our picturesque sand dunes — you just have to roll out of your comfy bed early enough to catch it. We recommend bringing a lawn chair, a steaming cup of coffee, and your camera. Play in the sand – Use the miles of coastline to create a work of art all your own and expand your learning. Scrawl a friendly note in the sand for the next passerby or build a sprawling sand mansion at the water’s edge. The sand is also a great place to brush up on your tracking skills — count how many footprints you can identify (for example, human, crab, dog, seagull, etc.) as you take a slow walk down the beach. Finish that book – Don’t forget to bring your favorite book or e-reader on your trip to Sandbridge Beach. You’ll be turning pages in no time as you soak up the sun and relax to the lullaby of the ocean waves. If you need something new to read, visit our local Princess Anne Area Library for other books, magazines, and resources. Swim and surf – You wouldn’t visit the ocean if you didn’t plan to actually GET INTO the ocean at some point. 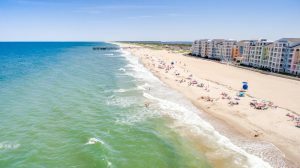 Sandbridge Beach offers miles of beautiful coastline, so find your favorite place to wade in and get wet. Feel free to bring your dog, surfboard or boogie board. The water is great! Previous Previous post: Pool Antics! : Memory Monday July 6, 2015.